Specialised negotiators are at the scene. The job centre in Byker, Newcastle. POLICE IN THE north-east of England are attending the scene where a man had taken a number of people hostage at a job centre. In an update from local police, they have said that it is believed that all hostages have been released” and that the man has been arrested. Bomb disposal units were also on site as “a precaution” while police sweep the building. The metro station in the Byker area is closed as police attend the scene. 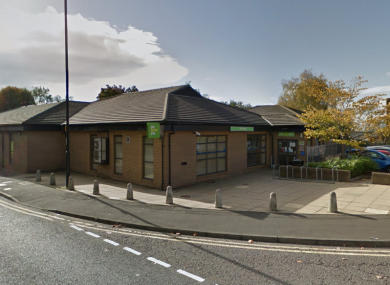 Northumbria Police had earlier said in a statement: “We were called to Clifford Street, Byker, at around 8am this morning following reports of a man causing a disturbance at the Job Centre Plus. Officers have attended and found a man armed with a knife had entered the premises and it is believed that several members of staff are being held there. The statement added that specialist negotiators were at the scene speaking to the man and student accommodation nearby has been evacuated as a precaution. There are no reports of injuries as of yet. The incident is not believed to have links to terrorism. A number of cordons have been set up to block off the area, as ambulances are on standby at the scene. On their twitter feed, Northumbria Police has asked the public not to use social media to speculate on the ongoing situation, as there have been no reports of injuries. It has also been suggested on social media and by members of the public at the scene that people have been stabbed. This is NOT the case. Email “Bomb disposal unit attends scene as police arrest hostage taker in Newcastle”. Feedback on “Bomb disposal unit attends scene as police arrest hostage taker in Newcastle”.